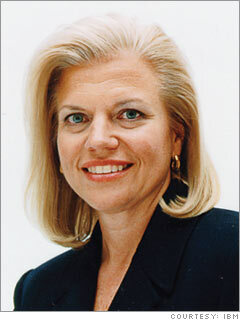 She heads strategy development for Global Services, which accounts for more than half of IBM's $91 billion in revenues; the division recently posted its ninth consecutive quarter of profit growth. Rometty's results and an aggressive expansion into India have helped transform IBM into a nimble global competitor with fast-rising profits. The stock has jumped 45% over the past year.